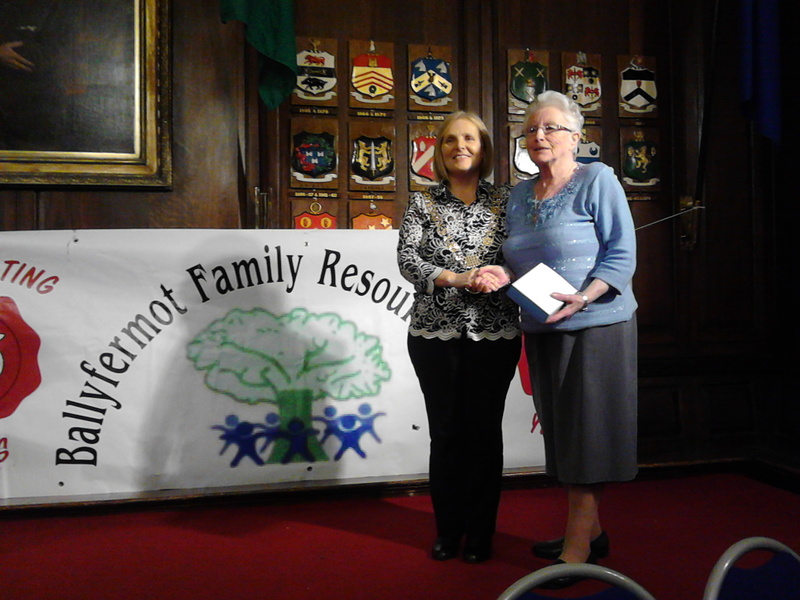 Long standing volunteers with Ballyfermot Family Resource Centre received lifetime awards from the Lord Mayor of Dublin, Criona Ni Dhalaigh as part of the celebration marking 25 years of the Ballyfermot Family Resource Centre on Friday 11th in the Mansion House. Among those receiving awards were Maura Harmon and Anne McGuinness who were both part of the original management committee when the Centre was handed over by the local Dominican Sisters. 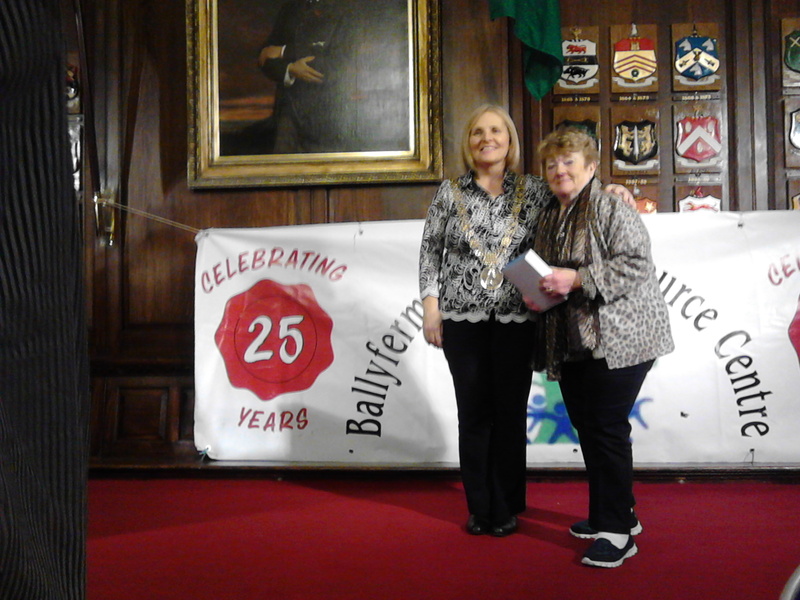 Irish dancing teacher Eileen Keogh also received an award and the dancers gave a stunning display on the Mansion House stage. BFRC Chairperson Joe Fitzgerald, cut the cake marking 25 years and Vice-Chairperson Mary Farrell outlined the history of the Centre from its beginning in a makeshift premises, receiving the building from the Dominican sisters and the various family programmes and groups who now use the Centre on a daily basis. She also remarked that the running of such a diverse range of programmes had not been without its difficulties, especially in more recent times when funding was reduced and the economic recession had affected everyone.However, she ended on an optimistic note by remarking that the current Board were eager to take on the challenges and looked forward to the next twenty-five years.